How to make your friend AND yourself "denim happy"! Liverpool Jeans sure knows how to make you AND your friends denim happy! And it’s easy: You can give your friend $15 when the shop and then you will also receive $15 for yourself. To begin, sign-up and start earning rewards! Refer a friend and earn LP Points for different actions. And your denim happiness doesn’t end here! 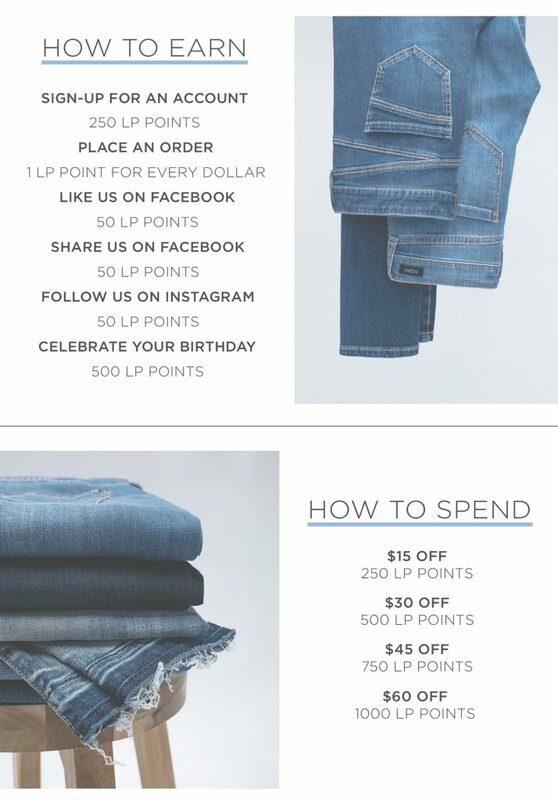 Besides this exciting reward promo, you will also be getting premium denim jeans and for way le$$. Let’s face it, premium denim nowadays ranges in prices of $250 and up. So if you believe in “you get what you pay for”, Liverpool Jeans is proving you wrong. Their denims are serious quality and fit. AND there is a pair of jeans for everybody and for every body, plus sizes included. And yeah, guys included as well. Check them out here.